The first installment of these CDS Chronicles ended with the Locus Amoenus Opening Ceremony on Friday 28 August 2008. At the last RA meeting prior to the Locus Amoenus Ceremony, held on 17 August, the discussion of the Commerce Commission was tabled. This discussion was picked up again at the following RA meeting – but only towards the end of the session. At the beginning of the RA meeting of 31 August, Pip Torok was sworn in as additional RA member for the DPU faction. Jamie Palisades then reported on the first meeting of the Commission on Corporate Structure which was held on 26 July. The general concern at this well-attended commission meeting was whether a formal legal structure for control of CDS was needed, or whether the underlying issues of stability and continuity of ownership could be better addressed in other ways. Moon Adamant, reporting for the Guild, announced that the new Locus Amoenus sim was completed and ready for inspection. Jamie explained that as Chancellor he was responsible for inspecting and accepting the roads and other amenities on the sim. However, he planned to seek input from the Building Advisory Committee, which was being constituted following the adoption by the RA of a revised Guild Charter. Gwyneth Llewelyn briefly reported on the three Electoral Commission meetings which had been held (out of an estimated seven), each on a single topic. The transcripts of these poorly-attended and generally consensual meetings were posted on the forum, so Gwyneth merely mentioned that the Electoral Commission planned to present a document by October. Next came the major issue at this meeting, which was the nomination of MT Lundquist as member of the Scientific Council, the CDS equivalent of a Supreme Court. Several RA members wanted to ask MT questions about his vision of the role of the Scientific Council, as was the tradition, but MT had failed to show up. Second Life residents tend to have high tolerance for failure to come to meetings, since a resident's first life generally takes precedence over the second. LRA Justice Soothsayer thus suggested that questions for MT could be posted on the forum. Jamie spoke up to endorse MT's nomination in the name of diversity of opinion, noting that MT had been a productive RA member and successful business owner in CDS. Claude Desmoulins, the head of the Scientific Council, showed up to answer questions about how and why MT had been nominated. Those present spoke either for or against MT's nomination, those opposed generally citing bias and temperament as reasons for their opposition. A vote was then hastily called on whether to confirm MT as member of the Scientific Council, and his candidacy was rejected with four nays (mostly CSDF members), two ayes and one abstention. However, this precipitous decision would be reviewed at the next RA meeting, this time with MT in attendance. The meeting finally got back to the Commerce Bill. Justice moved Jamie's proposed substitute bill,which was a compromise in that it required the Chamber of Commerce to operate under an NGO charter approved by the RA, but appointed MT Lundquist to take citizen input and formulate the charter. Jamie's bill also required the Chancellor to provide a map of all CDS parcels to be zoned "commercial," and delayed any imposition of penalty rents until the map had been approved by the RA. However, there was no second to Justice's motion, so the discussion reverted to Jon Seattle's Commerce Clarification Bill. Jon noted that he had posted a change to the forum, in response to comments by Flyingroc Chung. The change was that any action taken by the organization in violation of its charter would not be considered an official act. In other words, the Chamber of Commerce could act outside of its charter if it pleased, but only unofficially. Discussion then turned to Jamie's objections to Jon's bill, which seem to have been that the RA should allow the Chamber of Commerce to act as an NGO without a governmental charter (as do real-life Chambers of Commerce). Jamie had started a forum thread about how NGO's work in CDS, noting that the legislation seems to leave this question wide open. Further discussion was once again tabled to the next meeting. Jon noted that since the previous version of the Commerce Bill was still in effect, the Chancellor would be obliged to go ahead with implementing it. But Jamie reminded everyone that he had amended the bill so that fines could only be levied after concerned property had been marked as commercial in its metadata. He ensured the RA that he would hold this in abeyance until the current bill was resolved. The meeting adjourned. The 7 September RA meeting began with the monthly report from the Chancellor, Jamie Palisades. He first mentioned that executive branch appointments were systematically announced on the forum, in the section entitled "Executive Branch Announcements". In addition to the 6 authorized funded positions, he was planning to ask for approval of a seventh, which would be a second Public Information Officer (PIO). Arria Perault mentioned that she was hoping that webmaster for the new portal would be a funded position. (It could be noted in passing that these positions are remunerated with a stipend of typical Linden Dollar dimensions, pitifully low compared to the time input, and that what counts is the title rather than the payment.) Arria observed that content and system are separate aspects of website management, and that Brian Livingston as one of the PIOs was responsible for the content of the website, while the webmaster would be responsible for the system. Jamie then reported on preparations for the upcoming CDS anniversary and Oktoberfest, which would begin on September 20. The last item in Jamie's report was the CDS budget. He referred to his forum post on the subject. Justice and Gwyneth expressed the opinion that the budget should be a voting item. Jamie replied that CDS had often functioned without a budget, and that approving the budget could be a bill if CDS Law so required, which at that time it did not. Gwyneth explained that when the Old Guild was phased out, they forgot to update the Constitution to say that the RA must approve the budget proposed by the Executive. Jamie said he would be happy to discuss whether the RA wants to take back day-to-day management decisions such as the budget, but that since these were currently left to the Chancellor, he would exercise this authority until vetoed. That said, Jamie referred to the presentation on CDS finances that Sudane had made during the previous semester. (Can anyone provide the link? All I can find is Sudane's Financial Reports, such as the Financial Report for August 2008.) Sudane had suggested that CDS should routinely save 25% of the rent income each month, and spend the rest. Jamie calculated that these 25% savings would put an additional 58 USD per month into the kitty for future investments. After deduction of 10 USD to the ISP for the portal, this would leave about 175 USD per month for operating expenses, which is much more than is actually spent. Jamie noted that some citizens felt the surplus should be taken up by lowering some or all of the rental fees. As a concrete measure, Jamie suggested spending 44 USD per month on events. A decision was rapidly taken to approve the creation of a second PIO stipend position, but further discussion of the budget was tabled until the next meeting. The next agenda item was reconsideration of MT's nomination to the Scientific Council. Reconsideration was necessary because MT had stated on record that he would be unavailable until 7 September, so the RA should have waited until that date before making a decision. Justice noted that MT had replied to the various questions posted on the forum. Both MT and ThePrincess had showed up for the discussion – although as it turned out MT did all the talking, while ThePrincess merely watched. In addition to relatively routine responses to questions about the role of the Scientific Committee, MT's arguments centered on two questions: whether he had a level head, and whether he had acted reasonably in contesting the CDS election methods. On the first point, he noted that in real life he is a senior manager in government service, managing over 100 staff running complex IT infrastructure for an organization of 18,000 staff. On the second point, he reviewed the reasons for his request for a new election following the announcement of the July 2008 Election Results. Rubaiyat asked whether this issue of the election had been resolved, and how. MT replied that it had been resolved because the SC had finally ruled on it and that he accepted their arbitration, even though they ruled against him. The vote was called. MT's nomination to the Scientific Council was again defeated, by 4 votes to 2, with one absence. The final curtain thus fell on the effective role of MT and ThePrincess in CDS politics. The meeting had gone over time, and remaining business was tabled until the next session. And this blog post is also dragging on, so let us table the review of the subsequent RA meeting, held on 28 September, and finish with a glance at the Oktoberfest. I missed the 2008 edition of the CDS Oktoberfest because I was offline for an extended period. The CDS Oktoberfest began on Saturday, September 20, coinciding with the official opening of Oktoberfest in Germany, and ran two weeks, to October 5. As told in the SL History Wiki article about Ulrika Zugzwang, the first Oktoberfest in 2004 roughly coincided with the beginning of what ultimately became CDS. Ulrika's Neualtenburg project was approved by the Lindens on 12 September 2004, and construction of Neualtenburg city (later transformed into Neufreistadt) began in the sim of Anzere. In line with the city's medieval Bavarian theme, Ulrika and Kendra Bancroft organized an Oktoberfest, for which they created several of the city's signature items, including the Neualtenburg Bier Stein and the Neualtenburg Chicken Hat. At that first Oktoberfest members of the city and guests including Torley Torgeson danced under a tent on the Marktplatz, the only existing city structure at that time. The fourth Oktoberfest and CDS anniversary celebration was announced on the CDS portal, with last minute modifications to the schedule posted on the forum. The CDS Anniversary Celebration began on September 20 with a triathalon, followed by a flag ceremony. The street market and carnival, which continued throughout the two-week festival, opened with streamed Polka music. The opening day finished with a music event in the evening. The next day started with a parade through all four sims to the Marketplatz, followed by the first soccer game, out of a total of three during the festival. Numerous music events were scheduled throughout the two-week period, including several open mics organised by Naftali Torok. The second soccer game was held on Sunday September 28, and the final on Saturday Oct 4. Pictures of the Oktoberfest can be seen at Lilith Ivory's flickr stream and at Sudane Erato's Picasa page. When I took a long break from the Internet last fall, I became out of touch with events in my virtual homeland, the Confederation of Democratic Sims (CDS). I missed the highpoint of the CDS year, the OktoberFest (see the photos here), which I sorely regret. I also remained oblivious to the ongoing political and personal conflicts that continued to wrack the small democracy - the missing of which I regret less. As I ease back online, I need to catch up on the past half-year of activity within CDS. In writing this post about that period, perhaps I will help other less active CDS citizens to catch up as well. I've tried to learn about recent events in CDS by talking to participants, but the results are hit and miss. I could try to read all of the relevant posts on the CDS forum, with their voluminous comment threads, but experience has taught me that this is a never-ending task. The best way to catch up on past CDS activity is to read the transcripts of the Representative Assembly (RA) meetings, which are posted for public consultation on the CDS forum, under the heading Representative Assembly Announcements. So I dug in for a bout of reading the chat logs of the RA meetings, supplemented by an occasional glance at relevant forum posts or related blogs and websites. But I quickly got bogged down in tracing back the antecedents of the RA discussions. In short, I should begin by trying to summarize past political struggles within CDS. CDS has often been racked by conflicts. This is normal, because democratic government brings with it liberty of expression and the airing of differences. In dictatorial or totalitarian systems, the population seems to be in unanimous agreement with the government, simply because no one is free to disagree. Vigorous conflict is the litmus test of a healthy political system. I personally arrived in CDS only about a year ago, in December of 2007. Fascinated by the experiment, I studied such CDS history as I could find on a few specialized websites. My perception is that in the four years since the founding of Neualtenberg there have been three or four major cycles of conflict within the realm, depending on how you count them. The first major conflict was the split between the elected majority of Neualtenberg and the founder of the community, Ulrika Zugzwang. This split began in late 2005. During the first half of 2006 it degenerated into a bitter battle complete with destruction of online content, forum closure and avatar banning. It ended with the departure of Ulrika from Second Life, and the transformation of Neualternberg into Neufreistadt. I briefly recapitulated that story in one of my first posts on this blog. The second major conflict in CDS arose with the group that formed around Ashcroft Burnham, who cooked up an ambitious scheme for bringing a judiciary system to Second Life, starting with Neufreistadt. Ashcroft's Local Government Study Group (LGSG) wanted to create a professional judiciary in Neufreistadt. More generally, it proposed legal "tools" for use by any local governments within Second Life. These included mechanisms to enforce contracts by taking away land as a punishment for offenses. The conflict between Ashcroft's group and the rest of CDS, who preferred to keep the local government simple, came to a head in mid-2007. It ended with the departure of Ashcroft and friends to form Metaverse Republic. I gave a brief summary of Ashcroft's trajectory on my blog post about Building a Country, under the heading "Enter the Lawyers." The third major conflict was between the Citizens’ Alliance for Rights and Equality (CARE), the faction driven by Michel Manen, and the left-leaning Citizen's Social Democratic Faction (CSDF). The reasons for this conflict are rather less clear to me. They seem to have hinged on Manen's vision of a strong presidential regime following the US model, as opposed to the more European set-up of CDS, and on Manen's call for CDS to pursue aggressive expansion and commercial development. Since CSDF also supports expansion and commercial development, the conflict may have been caused more by Manen's strong personality than by actual differences of principle. At any rate, the virulence of the dispute can be seen in this thread on the CDS forums, towards the end of which Manen announced his departure from CDS on December 25th, 2007. 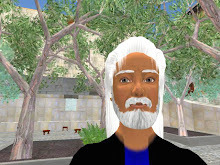 He then concentrated his energy on the Al Andalus sims , another Second Life experiment in virtual democracy. After Michel Manen's departure, the CARE faction was reconfigured as NuCare under the leadership of ThePrincess Parisis. The NuCare faction lead by ThePrincess vigorously carried on the conflict with CSDF during the first half of 2008. Should this period be considered as a continuation of the third conflict initiated by Michel Manen, or as a separate fourth conflict? To the extent that the conflicts of Michel and ThePrincess seem to have originated more in their personalities and heavy-handed approaches than in their principles, the period dominated by the presence of ThePrincess could be seen as a separate major conflict, making it the fourth main cycle of dispute in CDS history. ThePrincess tended to reduce politics to the level of personal antagonism. Her harassment drove CSDF representative Patroklus Murakami to resign from his position as Leader of the Representative Assembly (LRA), leaving leadership of the RA to ThePrincess and her allies. CDS was polarized into two warring camps. I've told my version of this story in my blog posts Swept Away and CDS Election Update. The reign of ThePrincess ended with her getting ejected from her own faction in early July 2008, which disqualified her from running for the second semester elections. This leadership crisis within NuCare gave CSDF an easy victory in the 2008 mid-year elections, but the conflict with ThePrincess continued in another form. *The CSDF faction had a Borda score of 61 and was awarded 3 seats, filled by Justice Soothsayer, Arria Perreault and one more representative "to be named"
*The DPU faction received a Borda score of 54 and was awarded 3 seats, filled by Rubaiyat Shatner and two more representatives "to be named"
The CDS election results are calculated using the complicated Borda count, which is supposed to be more consensual that a purely majoritarian election. Also, in CDS a faction may apparently win more seats than the number of candidates it has presented, in which case the additional RA representatives for that faction are "to be named" as soon as possible. The first RA meeting of the new semester was held on 3 August 2008. The meeting was chaired by Justice Soothsayer, who had received the most votes among the candidates of the winning party (CSDF), and thus automatically became the Leader of the Representative Assembly (LRA). The elected representatives were sworn in, as were additional representatives newly named by their parties: Gwyneth Llewelyn for CSDF and Flyingroc Chung for DPU. Another additional DPU representative, Pip Torok, was sworn in at the next meeting. Jamie Palisades, who had served as LRA during the latter part of the previous semester, was selected by the Representative Assembly for the position of Chancellor, head of the CDS administration. A few items of business were dispatched at this first meeting. Moon Adamant announced that the new CDS sim Locus Amoenus had been purchased and was already adjoining the CDS territory. The terraforming was done, and road building was in progress. Publius Crabgrass was named as RA archivist. Gwyneth Llewelyn was named head of the Electoral Commission that had been set up during the previous semester. Arria Perrault reported on the progress in setting up a new CDS web portal, and in migrating the legal archives to it. In the absence of the ThePrincess the new RA thus started off in a mood of general consensus. This was quite relaxing compared to the fireworks of the previous RA – and almost a little boring. The main issue at the RA meeting of 17 August was the Commerce Bill. This was a controversial issue left over from the previous semester. The Commerce Commission was in fact first proposed by Patroklus Murakami in a post on the CDS forum dated February 12th 2008. Pat's proposal provided for the formation of a Chamber of Commerce, made up of volunteer members holding commercial land in CDS, with the aim of "revitalizing the shopping areas of our sims." The Chamber of Commerce would "consider how non-functioning or empty office and shops in commercial areas can be prevented from continually occupying space where new commercial initiatives could prosper instead." MT Lundquist, RA member and online husband of ThePrincess, volunteered to chair the Commerce Commission. The RA officially named him to this role. MT posted his proposals for a Commerce Commission Bill on the CDS forum on April 10th 2008. MT proposed that commercial lot owners whose property failed to draw a minimum traffic of 3 visitors per week be required to sell the lot back to the CDS government for market rate. MT's proposal provoked public outcry, including an overly-excited reaction from Danton Sideways, who owned two properties in Colonia Nova, including a shop near the plaza. My shop was starkly empty, but I had definite future plans for it - which I have still failed to implement. In Second Life time and projects follow their own logic, which can be far different from that of real life. I use my other property near the Colonia Nova plaza as my SL home. I had the mistaken impression that this lot was within the commercial property zone. In fact, the commercial zone covers only part of the plaza area, and my house was outside of it. But my misunderstanding led me to fear that even my house would be taken away. This is an example of how any system, and CDS is no exception, tends to develop hierarchies of knowledge which leave ordinary citizens in a state of relative ignorance. Insider groups coalesce among those who have the time to follow the legislation, the committees and the social events. Knowledge is power. I'll come back to this in later posts. For the moment let me just note that this question of citizen knowledge is related to Ivan Illich's philosophy of conviviality: the average citizen needs greater access to information. A free press is one of the "tools" that provide such information, and the present blog article can be seen as a contribution to greater public knowledge in CDS. modified recommendations on the forum on May 31st. The new recommendations were: "That following one month of non commercial activity, commercial 'rents' paid to the CDS should have a rent surcharge of 100% beyond the otherwise applicable rent." In other words, the owner of an inactive commercial plot, instead of losing the plot, would have the rent doubled, which is still a quite heavy penalty. This version of the Commerce Commission Bill, with a few minor amendments, was approved by the RA on June 28th. The four "aye" votes were from MT Lundquist, ThePrincess Parisi, Sonja Strom and Jamie Palisades. There were no "nay" votes and no abstentions. In short, the supporters of the bill profited from the absence of any opponents to force through a controversial piece of legislation. Jamie seems to voted aye only after having obtained amendments which delayed the bill's effectiveness until after the elections – at which point the new RA could always overturn it. In the tentative final text of the Commerce Bill posted by Jamie Palisades on September 1st, there is the following additional clause, about the next steps after the rent has been doubled: "Thereafter in each subsequent month, the rents shall be doubled until such time as the land is returned to commercial use, at which point it reverts to the standard land rental for the plot." It is unclear to me when and how this clause was added, since it was absent from the bill that was voted on June 28th. On first reading I thought this clause meant that rents would be doubled exponentially from month to month, but on reflection I conclude that this is just a problem of wording. As could be expected, the Commerce Bill became a hot topic following the election of the new RA. On August 14th Jon Seattle posted a comment noting that unlike the New Guild and other "NGOs" with an official function, the charter of the Chamber of Commerce had not been approved by the RA. Jon was also worried that membership, which at that time had to be requested from either MT or ThePrincess, was limited to "commercial vendors" in the sense of retail shops, and seemed to exclude service businesses and any non-profit enterprises. The following day, on August 15th, two days before the before the RA meeting of August 17th, Jon Seattle posted a proposed Commerce Clarification Bill . Jon's new bill suggested that the Chamber of Commerce should be required to follow a charter approved by the RA, and that it should provide voting rights to all CDS citizens who maintain business offices or non-profit organizations in CDS. Jamie reacted strongly to Jon's proposal, suggesting that the new CSDF-dominated RA was trying to take the Chamber of Commerce away from MT, whose hard work had earned him a legitimate position as its leader. As usual on the CDS forum this discussion blew up into the type of long intricate thread which few citizens have time to read to the end. At the RA meeting, MT commented in detail on Jon's proposal. He stated that for the RA to rule over a commercial organisation seemed to him like a communist system where the state rules all activities. He also maintained that "commerce" under the original bill had a very wide definition, and that no one would be discriminated against. Finally, he claimed that the part of the bill dealing with penalties was supposed to be administered by the Chancellor's office, not by the RA. The discussion of the Chamber of Commerce dragged on, and there was no quorum to vote anyhow, so this item was tabled. This blog post is also dragging on, and getting longer than I intended. I'll adjourn my account of further RA meetings to the next blog post, which will be called "CDS Chronicles Part 2". I've only covered two RA meetings so far, but then I had to spend time setting the stage. Still, I wonder how many parts this serial post will require before I catch up to the present. The next RA meeting would be held on August 31st. Before that, on Friday August 28th, the CDS community held an Opening Ceremony for Locus Amoenus, the fourth CDS sim. The rather elaborate ceremony was held in the Naval Theater constructed in the exact center of the Locus Amoenus sim. The ceremony consisted of letting each citizen put an offering inside a large upturned hemisphere, as shown in Lilith Ivory's bird's eye photo. The downturned top half of the hemisphere was then lowered onto the bottom half, sealing the offerings within a hollow globe. The citizens presented offerings representing their real life countries. However, Danton put into it the pinwheel he was given at WWF Island, which to me represented the global environment rather than any one country. After the ceremony, which was complete with the sacrifice of sacred cows and the release of a flock of doves, the citizen's danced on a nearby lawn, as shown in a video posted by Gwyneth Llewelyn. Events like these cement the community together, and temporarily put the petty squabbles into the background.